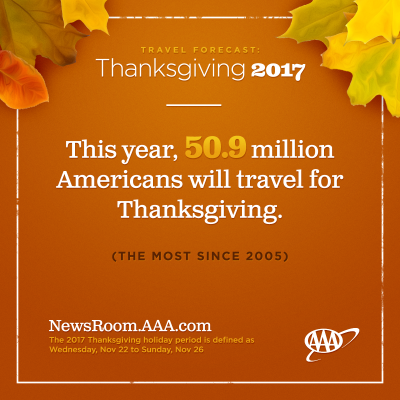 AAA released its Thanksgiving Travel Forecast on November 16th, and is projecting that 50.9 million Americans will travel this Thanksgiving – the highest number since 2005! 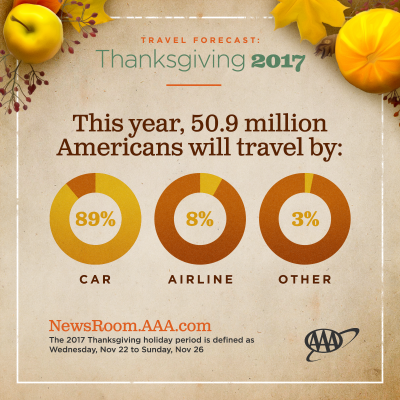 Total Thanksgiving holiday travelers to reach 50.9 million, an increase of 3.3 percent from a year ago. 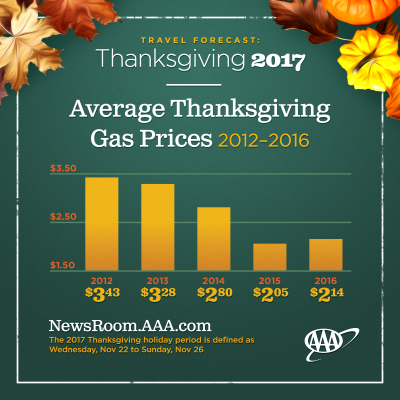 Auto travel will rise by more than 1 million in 2017. Air travel will rise 5 percent over 2016.